The US Secret Service is testing a facial recognition program outside the White House, a document from the Department of Homeland Security (DHS) shows. The Secret Service started the program last month, incorporating existing surveillance cameras in the area into the project. The agency says that the facial recognition software is only being directed at officers who have volunteered to take part, but that distinction isn't as cut and dry as it may seem. 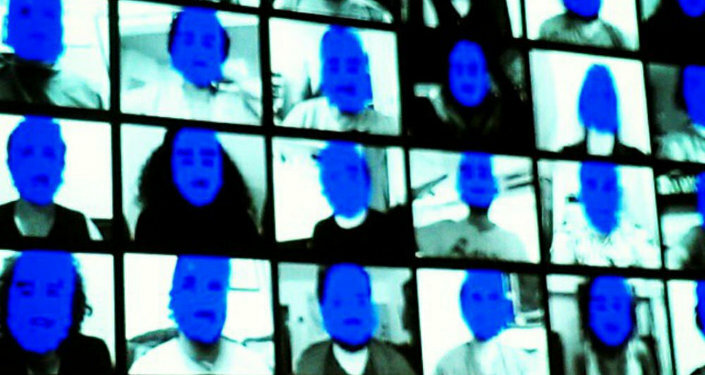 In order for facial recognition software to work, and for its power and accuracy to increase, it needs a database of faces (provided in this situation by volunteers), and it needs to test them in the real world. "We don't exactly know how the Secret Service determines if someone is a ‘subject of interest,'" the ACLU said on Tuesday about the test program. "Unfortunately, our government agencies have a long history of labeling people threats based on their race, religion or political beliefs." Two areas near the White House have been selected for the facial recognition technology test. From those locations, "cameras capture video from individuals on the sidewalk and street," according to the DHS document. Under the "Principle of Individual Participation" section, the risk to privacy under the program is laid bare: "Privacy Risk: There is a risk to individual participation because members of the public cannot opt-out of the FRP [Facial Recognition Pilot] testing." Just below, DHS says that they are not even attempting to mitigate the risk to privacy. "This risk is not mitigated," the document says. "Individuals passing the cameras involved in the pilot will not be able to opt out of having their faces run against the facial recognition algorithm." Washington residents, tourists and other visitors who don't want their faces analyzed by the technology "may choose to avoid the area," the document says. Under the "Principle of Transparency" statement, it says that DHS should "be transparent and provide notice to the individual regarding its collection, use, dissemination and maintenance of PII [Personally Identifiable Information]." It achieves that lofty end through a "general notice" "provided to the public by this PIA [Privacy Impact Assessment]." "While this pilot program seems to be a relatively narrowly defined test that does not in itself pose a significant threat to privacy, it crosses an important line by opening the door to the mass, suspicionless scrutiny of Americans on public sidewalks," the ACLU said. The Secret Service says that it will only retain records of matches and will discard records of other faces recorded in the process. But even then, there's no guarantee that a member of the public won't be falsely identified as a member of the test group, as "there is always a risk of false positive matches," the document says. "A facial image received from the video stream may incorrectly show as a match to test data, resulting in member of the public facial images being retained," it adds. The risk of false positives in facial recognition software has been demonstrated before. In July, the ACLU ran pictures of every member of US Congress through a facial recognition database of criminals' mugshots running Amazon-made identification software called Rekognition. With the software set at its default 80 percent confidence threshold for a match, 28 legislators turned up false positives, Sputnik News reported. "While DHS includes many details about how they plan to protect the information they gather about Secret Service agents involved in the program, there is very little regarding how they will protect the images of members of the general public, outside of promising to delete the data at the end of the pilot program in August of 2019," Garaffa said. "The most significant immediate risk to the public is that the facial recognition program extends to areas outside the White House itself, including Lafayette Park — a public park full of tourists and the location of many political protests," Garaffa said. Protests are frequently held in Lafayette Park, sometimes three or four a week. Currently, protesters are gathering every night with few exceptions since mid-July in front of the White House, accusing the president of treason. "As part of the Trump administration's overall attack on free speech and protest, which includes potentially charging fees to have an event, this could further intimidate people into not attending a protest," Garaffa told Sputnik News. The ACLU characterized the Secret Service's acquisition of facial recognition technology as another step down a slippery slope, first marked by the tech's implementation at airports. The group notes that the Secret Service's mission "includes protecting not only the White House but also presidents and vice presidents when they travel; presidents' and vice presidents' immediate families; former presidents, their spouses and their minor children; major presidential and vice presidential candidates and their spouses; and foreign heads of state." "How far-ranging does the Secret Service believe its monitoring efforts need to be to fulfill its mission?" the ACLU asks.